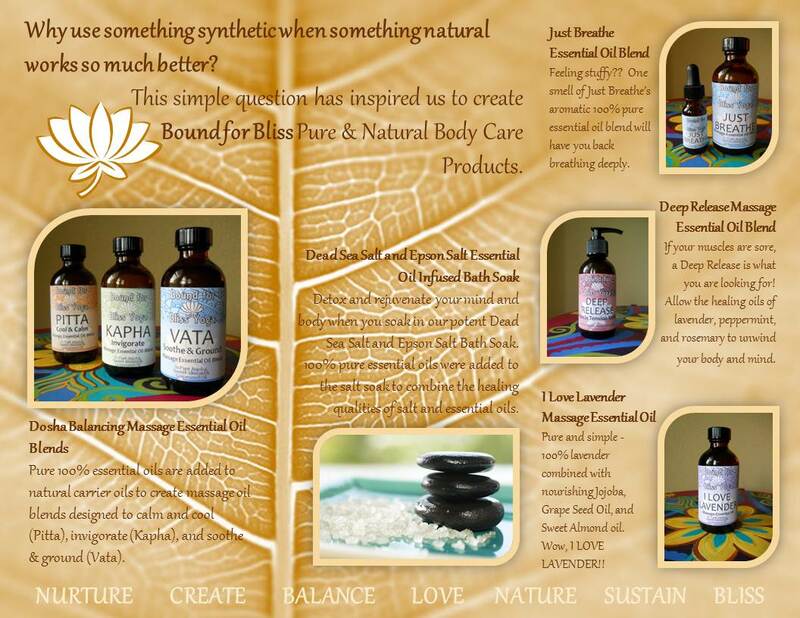 This simple question has inspired me to create Bound for Bliss Pure & Natural Bodycare Products. 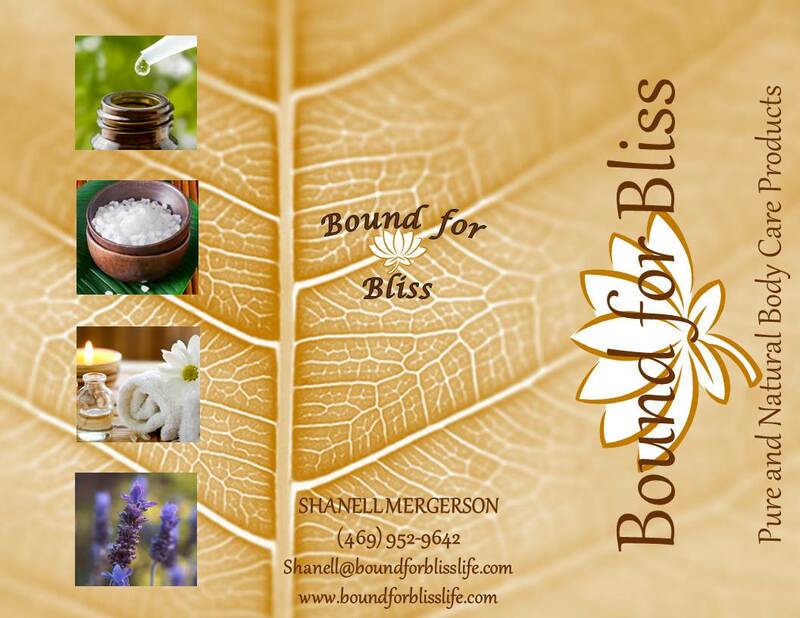 At Bound for Bliss we believe nature offers everything we need to create effective beauty and wellness skin care products. Our line is growing! Currently we offer bodycare products to balance your Ayurvedic Dosha, massage oils to relax, remedies for allergy season, and detox bath salts to restore.